We are located in Chadds Ford-Glen Mills, Pennsylvania, close to the PA and DE state line. Conveniently located off of Rt. 202. Come see why Dragon Martial Arts is the Best Martial Arts and Fitness School for both adults and children of all ages! Please fill in the form below to contact Dragon Martial Arts-Yong Moo Do Kwan and Fitness. 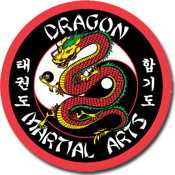 Visit our School and train with the Best in the Korean Martial Arts!